45th Anniversary Celebration of TURN at Julia Morgan Ballroom in SF. David Cheng joined TURN in July of 2017, and works out of TURN’s San Diego office. He came to TURN with a robust background in energy, finance, and technology, and utilizes his experience as an Energy Attorney. Prior to joining SDG&E, David held various positions at Visa USA and HSBC including Director of Strategic Sourcing, Strategic Sourcing Specialist, and Sr. Pricing Analyst. He is also a tennis enthusiast and can often be seen on the courts coaching his young daughters. 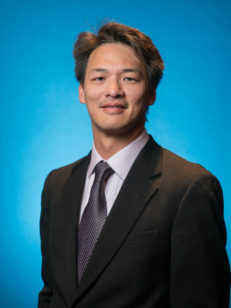 David received his Bachelor of Science from University of California, Irvine in Computer Science, and received his MBA from Yale School of Management. He holds a JD from San Diego Law School.